Pubblichiamo di seguito le offerte di lavoro all’estero per architetti che abbiamo raccolto nell’ultimo periodo. Le regioni interessate sono: Principato di Monaco, Cambogia, Cina, Gran Bretagna e USA. Come sempre, si raccomanda di prestare grande attenzione a tutti gli aspetti della propria candidatura, che deve essere composta da Curriculum Vitae aggiornato, portfolio e lettera di presentazione, in questo caso in inglese. Se invece l’estero per ora non ti interessa, consulta le offerte di lavoro in Italia che abbiamo selezionato per te questo mese. 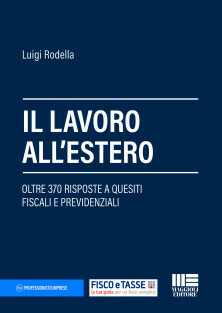 Società operante nel settore “travaux d’aménagement de locaux et de decoration” ricerca collaboratore tecnico a cui affidare mansioni di: relazioni con autorità governativa ed altri enti per ottenimento permessi, realizzazione disegni tecnici, computi metrici e capitolati, gestione fornitori, cantieri e archivi. Cercasi giovane Architetto versatile anche come Interior Designer per una stimolante esperienza internazionale a breve o lungo termine, da definire, nella nuova perla dell’Asia, Phnom Penh. Il designer affiancherà un team locale e dovrà occuparsi principalmente dello sviluppo dei concept nei nostri vari progetti coordinandone i disegni tecnici. E’ richiesta un ELEVATA capacità CREATIVA nello sviluppo di concept oltre che una buona abilità organizzativa. I colloqui per i candidati selezionati avverranno a mezzo di videoconferenza. Inviare MAX 10 RIGHE di presentazione indicando il proprio processo creativo oltre il portfolio. Studio di architettura ed interni con sedi in Italia e Cina, per la nuova sede di Shenzhen, Cina, ha 3 posizioni aperte. I candidati devono avere una grande apertura mentale per la comprensione del mercato asiatico, essere self-confident e ricettivi ai feedback. Si prega di inviare portfolio + curriculum stampabili in formato pdf esclusivamente. – 5 years+ experience and excellent knowledge on large-scale projects in all phases of design process: conceptual, detail and design development, construction documents, construction administration, and site supervision. – Cooperation with the chief architect or project manager to carry on the design or work independently, on-the-spot survey; project presentation to client. – Fluent in English and Chinese. – Bachelor degree (or above) in Interior Design, Architecture, environmental design or relevant disciplines. – Have 1-2 years of working experience in design industry; experience in international firms is a plus. – Assisting project manager in developing the design strategy according to the client needs. This includes the work of defining the design concept, idea and the theme; sketching the layout of space; finding the reference pictures which indicate the style of main areas; providing the proposals on main material selection; preparing the presentation using PPT. – Coordinating with project manager in producing and developing work drawings. – Providing additional support to ensure the smooth execution of projects. – High level of proficiency in AutoCAD, Photoshop and 3DMax, etc. – Ability to communicate in English language. – College graduate or university degree, majoring in Interior Design, Arts, environmental design or relevant disciplines. – Have minimum 2 years of working experience on FF&E design work; experience in international firms is a plus. – Establishing and developing material warehouse. This includes the work of collecting the up-to-date material sample and brochures, classifying material according to the material type, quality level, brand name, etc., and updating material warehouse. – Fully understanding the client’s requirements on the tone and style of the space, and on the basis of this selecting material. – Developing FF&E proposal and work with project manager on presentation production and the material board preparation. – Maintaining good relationship with the clients and the suppliers; establishing suppliers contact list. – Attending meetings with the clients and presenting FF&E proposal for the clients. – Familiar with different type of FF&E product and the material feature, including furniture, light, stone, fabric, etc. Azienda con esperienza consolidata nel settore exhibition e interior design ricerca designer o architetto (anche laurea triennale) motivato con conoscenze dei seguenti software: 3ds Max, Vray, Photoshop, Illustrator, Autocad. Inviare curriculum vitae e portfolio in formato PDF. Le candidature prive di portfolio non saranno valutate. Si accettano anche candidature spontanee. Multiple award-winning Cambridge practice seeks a talented assistant architect to help with our growing workload of diverse, high quality projects, often involving the creative reuse of historic structures and the addition of sensitive modern buildings into precious contexts. Our key sectors include independent school work, bespoke housing, visitor centres and masterplanning. The successful applicant will have the opportunity to contribute to our regular bid, competition and PQQ submissions. Cowper Griffith Architects works from friendly, purpose built offices just south of Cambridge and offers an excellent life/work balance. Applicants should be able to demonstrate:strong graphic skills, competence in 2D CAD, familiarity with 3D modelling and rendering software, familiarity with Adobe Creative Suite, Portfolio material should be collated on an ‘author only’ basis. Vectorworks is our preferred CAD package, but cross-training can be given. Please send .pdf CV and portfolio file size limit 10Mb. highest possible resolution. Markwick Architects is a small but very busy architectural practice based in South Croydon, Surrey. We are seeking an experienced architectural assistant to help us with a variety of projects. The successful candidate must have at least two years of experience working in a UK based architects office. You should be able to work as part of a larger team as well as being able to work on projects on your own. You should have experience in the preparation of feasibility studies, planning and building regulation applications, tender and construction drawings including general arrangement drawings, details and specifications. Skills should include use of 3D and AutoCAD software and construction site experience would be an advantage. This is a very good opportunity for the right candidate to gain excellent experience in all aspects of architectural projects in a variety of construction sectors. Please email your CV with examples of work. Gallus Studio is a small practice based in Camden, currently working on commercial, residential and community projects. Gallus are looking for an experienced architect, ideally with commercial experience and an interest in community/performance space projects. Burrell Foley Fischer LLP are looking to appoint experienced project architects to join its growing teams in its London and Birmingham studios, to work on cultural, housing and educational projects for discerning clients with high expectations of quality design, innovation and professional service. Key skills include: exceptional design, presentation and communication skills, experience of working on traditional construction contracts in the UK, including specification writing, acting as contract administrator and overall team management including external consultants. Vectorworks experience preferred. Please send your cover letter, CV, work samples and include salary expectations. IT’S MY LAB is a retail design agency with a multidisciplinary team focused on offering strategy, design and brand experience for our customers. We are currently looking for a designer to collaborate in developing retail experience and showroom projects. The ideal candidate must have a very positive attitude and a high motivation on working on this particular field as well as a solid good knowledge of them. We will only consider (and answer to) applicants who meet the below requirements and are attaching their CV simple and portfolio when applying (max 5,0 MB). Profile: architecture/industrial design degree, excellent knowledge of the 3D modeling, rendering, photo editing and layout software, ability to handle projects autonomously with extreme accuracy, problem solver, flexible and methodical on working in different projects simultaneously, proactive person able to handle high quality work to tight deadlines. Miami based Design studio looking from Freelance Designer that lives in Italy. The Designer needs to help with Kitchen, Closets, Bathroom Designs with Italian Cabinetry and order process. Knowledge in Cabinetry/factory software preferable Metron. Also 3D rendering software. Proficient in Italian, and English or Spanish. 3-5 years experience required. Queste offerte lavoro architetto sono state estratte da altri siti dedicati alla ricerca del personale e del recruiting, pertanto la redazione di Architetti.com non può essere ritenuta responsabile della veridicità di quanto riportato nelle inserzioni.